Curtains can certainly make or break a room because they take up such a considerable portion of wall space. Therefore, it's important to choose the right curtains to provide the look, color and texture you desire. Here are some tips on how to choose the best curtains for your upcoming design project, courtesy of Elle Decor. Determine the fabric you want. The weight and quality of your curtain fabric will determine how well it will hold up over time, and how it folds and drapes as it's opened and closed. If you are having your curtains custom made, fold a fabric swatch up like an accordion and see how it drapes. Thin fabrics, like crinoline, won't drape well. Linen curtains fold nicely. Heavier fabrics may be too cumbersome. Will it fade? Because your curtains will be exposed to direct sunlight, they are prone to fading. If a window gets a heavy dose of sunlight, you may want to avoid bright colors and patterns that will show fading more readily. Neutral fabrics are the best choice for weathering the light, and blending well with your other color choices. Consider the perfect length. Determine your curtain length beforehand. Hanging your curtains above the window frame will add the illusion of height. You will need to add a few inches if you want the curtains to puddle on the floor. Modern designs incorporate crisp curtain panels that are flush with the floor. 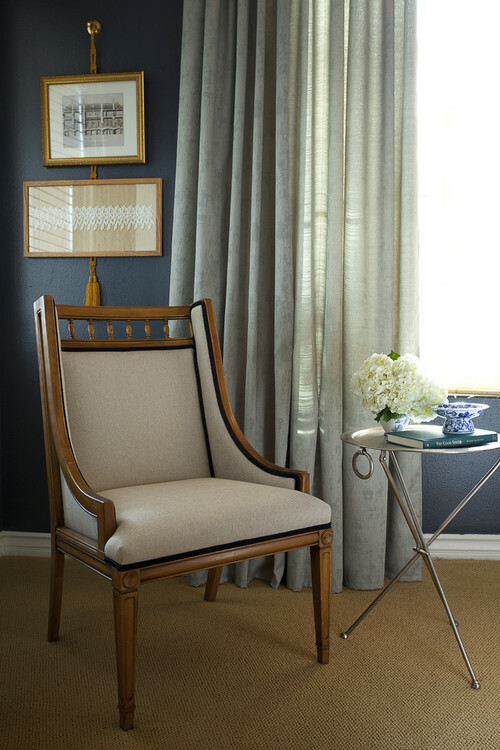 Linens by Didriks has a wide selection of fabric for your custom linen curtains.